Everything for the fly fisherman - for sale & delivered world-wide with award winning customer service. 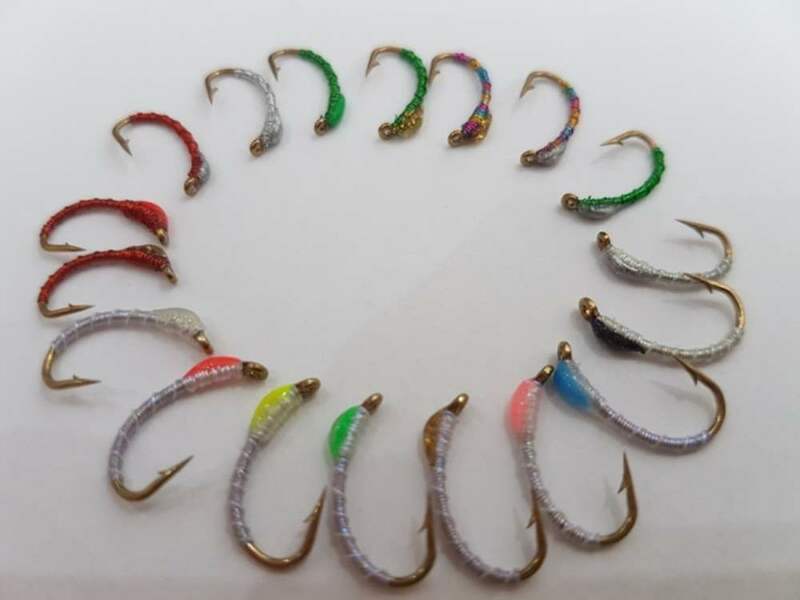 We have a massive range of flies for every species of fish, with hundreds of patterns and huge stocks available. Also we have tackle and a dedicated tying department all for speedy delivery. Order online securely or alternatively we are available on the phone for advice or for telephone orders (00 44 1757 333003) Monday to Friday. Why not see for yourself why thousands of customers worldwide buy from us. Check out free monthly hatch charts telling you what flies are hatching and what flies you should use to match the hatch. Our e-guides have been written on many different topics, delivered instantly to your desktop. We promise to offer you top gear, best value with absolutely the best customer service possible. We look after our customers. Let us show you how, we look forward to hearing from you! Established in 2006 we have thousands of satisfied customers in over 50 countries. Check their independent reviews of our great flies, materials and gear plus award winning service! We welcome customers to our store in North Yorkshire too and a warm welcome is assured. We are available on the phone for advice or for telephone orders (00 44 1757 333003) Monday to Friday. Why not see for yourself why thousands of customers worldwide buy their gear from The Essential Fly? We promise to offer you top gear, best value with absolutely exceptional customer service possible. We look after our customers. Let us show you how. Ann & Andy Kitchener founded The Essential Fly in 2006. 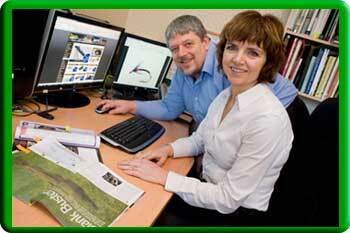 It had been working as a website since 2001 when Ann & Andy ran one of the largest e-commerce providers in the UK. Andy had always been passionate about fishing and persuaded by Ann he started the Essential Fly, setting up all of the supply chain, quality systems and computer infrastructure and programs. The business was geared to use sophisticated computer systems to create a highly geared business which could deliver top quality flies at great prices. We tested the major suppliers and found deliveries slow, flies often put into boxes or even yoghurt containers and crushed between the suppliers catalogues! Hackles were ruined before they even arrived. It was against this backdrop that Ann & Andy decided to set up the premier supplier of fishing flies and fly fishing accessories, providing top service and a quality product. Our focus is quality, service & price, for every fisherman that is the key. We stock a range with over 1,700 trout & salmon flies currently in over 5,200 sizes and are adding to this weekly. With stock of hundreds of thousands of trout/salmon flies available delivery is normally ex-stock with 98% of orders shipping same day. Our salmon and trout fishing fly bundles are really popular with trout & salmon fishermen - whether you are a beginner or a specialist looking for particular trout & salmon flies for a special type of fishing or location. Our salmon fly range covers traditional salmon flies like Blue Charm and salmon flies like Green Highlander. However we have modern salmon flies like Allys Shrimps and Allys Cascades, nylon PBP and copper PBP. Why not take a moment to look at our trout & salmon fly fishing accessory range? Again designed to be affordable for all, they offer great value with no compromise on quality. Check out our salmon / trout fly fishing boxes, trout & salmon priests, trout & salmon lines, leaders, floatants and sinkers, nets, rods and reels to name a few! Stuck for a present? We offer trout & salmon gift vouchers too! You can be assured of great service for your trout & salmon fishing needs from the Team at The Essential Fly. Real people, real passionate fly fisher-people who want to bring you the best. Why not give us a try? We're available online, in store or on the phone!